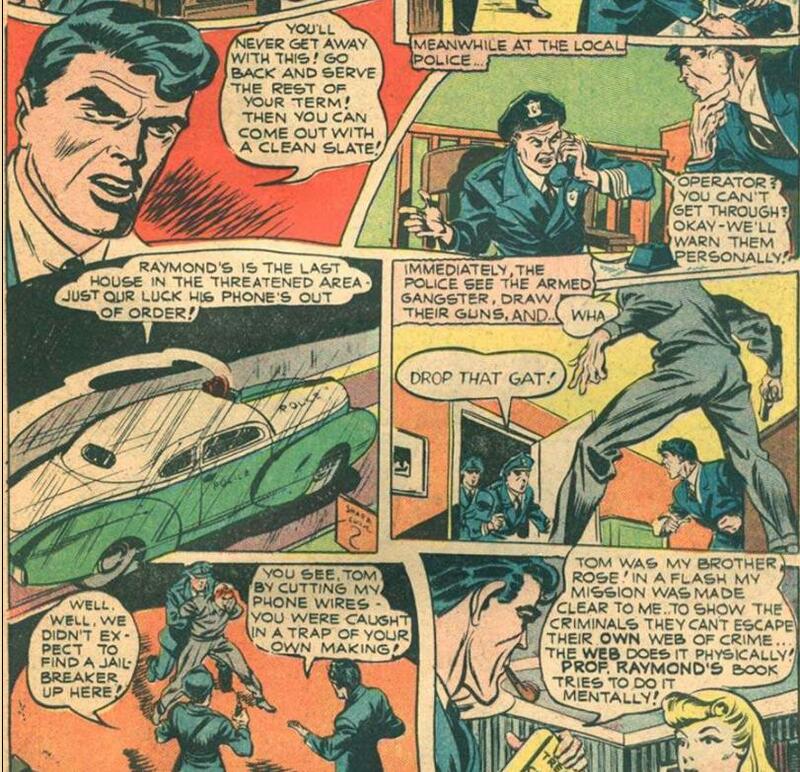 To illustrate a particular point about the evolution/stagnation of the superhero genre, I've been trying to find a particular origin story that I thought I read on Kent Orlando's "Unca Cheeks the Toy Wonder" website long ago. The problem is, that original website is long gone, and though parts of it have been preserved, those parts don't match what I thought I remembered reading. The superhero described was MLJ/Archie Comics' "The Web" -- specifically the 60s revival of the Golden Age character, a revival written by Superman co-creator Jerry Siegel. As related by Orlando, his hero origin was basically: he was in a house alone when criminals who meant him harm came in. He called the police. The police came and caught the criminals. This triggered a Profound Insight about how interconnected everyone is, and so he decided to put on a costume and fight crime as The Web. "Unca Cheeks" wrote primarily for entertainment, and frequently went off on short (or not-so-short) excursions into counterfactual scenarios for humor value. (e.g., "Having given his arch-enemy all the information needed to defeat his plan, Baron Monstro orders his henchmen to perforate Ace-Man with bullets. No! Wait! That's what he would have done if he were competent. Instead, he leaves his enemy in the supposedly unescapable deathtrap...") It's possible that the 'origin story' I remembered reading was merely one of these flights of fancy, not the actual character origin. I've caught some errors from Unca Cheeks before. (Gomi, from the late 80s limited series "Fallen Angels", is not the most memorable character, so perhaps it's forgivable to misremember the character as having no superpowers, forgetting his destructive telekinetic blast. But when you correctly remember that the character's "name" is the Japanese word for "garbage", calling the character "Goshi" which does not mean "garbage" is just poor research.) Cheeks might have similarly been garbling the actual origin story, due to a failure to check what he thought he remembered. Is this the actual origin story of this character? If not, is there another character that it matches? Later, his brother decides to get revenge on him, cutting his phone lines before attacking him in his home. With the lines cut, the police are unable to call him and send a squad car, who promptly subdue and capture his brother. 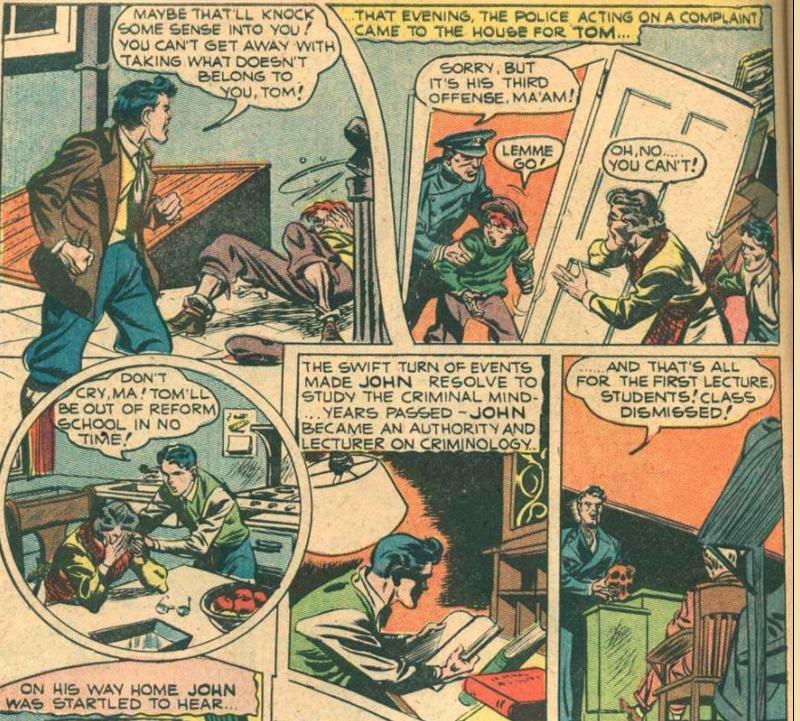 John decides that he should use his detective skills and understanding of "the web" (of coincidences that always lead to a criminal being caught) to his advantage and become a superhero. Not the answer you're looking for? Browse other questions tagged character-identification super-hero or ask your own question. The Collector shows the GOG footage of a huge guy destroying a planet with the Infinity Stone. Who is this?